Are you a multicultural book reviewer? This may be perfect for you! I can’t believe the non-profit I co-founded with Mia Wenjen from PragmaticMom is going on it’s FIFTH year! To get free multicultural children’s books into the hands of young readers, teachers and librarians. Shine the spotlight on all of the amazing multicultural authors, illustrators and publishers that we know are out there. The online event/holiday takes place every January 27th, but because the event falls on a Saturday this year, we are encouraging parents, teachers and librarians to “party” ALL week leading up to the big day (1/22-1/27/18). We expect many classrooms will be celebrating on Friday the 26th. This event continues to grow by leaps and bounds also. In 2017, we garnered 3.9 billion social media share impressions thanks to the support and efforts or our team, our supporters, our Sponsors, our CoHosts and our book reviewers. That being said it’s time to sign up to be one of our valued multicultural book reviewers for 2018! Diverse Children’s Book Reviewers -We need you for MCCBD 2018! In years past, we asked for reviewers to sign up to receive a free book in return for a review on their blog which they linked up on January 27th. For the second year, we are thrilled to expand our invitation for a FREE diversity book to review, along with the optional book extension activity to blog posts, to social media platforms: Instagram, Facebook and YouTube. 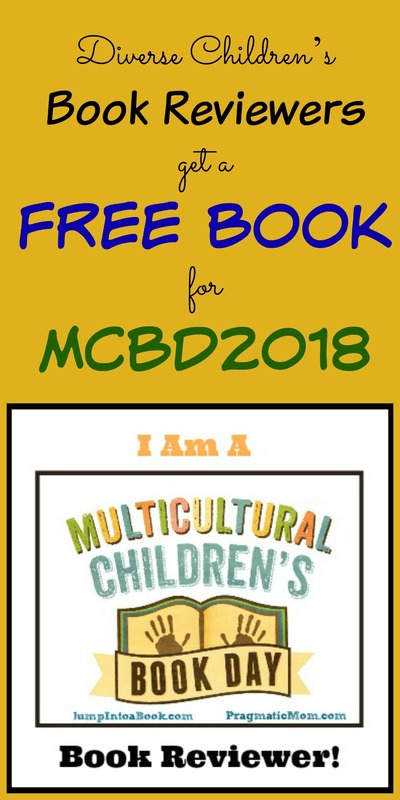 In a nutshell; you don’t have to be a blogger to review multicultural children’s books for the MCBD 2018 holiday! You just need to have a love of diversity in children’s literature and be willing to share on your social media platforms such as Facebook, Instagram, or YouTube. Just pick one of these three social media platforms that you are most comfortable on and post your review for everyone to read and enjoy there. When signing up to be one of our book reviewers simply indicate which platform(s) you plan to post your review on in the “blog URL” space on the below Google sign up form that can be found HERE. Once their book review post is live (any time between January 1 and January 27th is good), reviewers are invited to “link up” their blog post on the Linky that will be found on any of our CoHosts’ sites and also the MCCBD website. This linky will go live on January 27th..